Reducing costs is no longer enough. Quality, outcomes and evidence need to become driving forces in supply decisions. Excelerate, a provider-led, clinically integrated supply chain solution, has established a sustainable approach based upon quality decisions leading to supply chain savings. We use evidence-based clinical outcomes to select medical products. 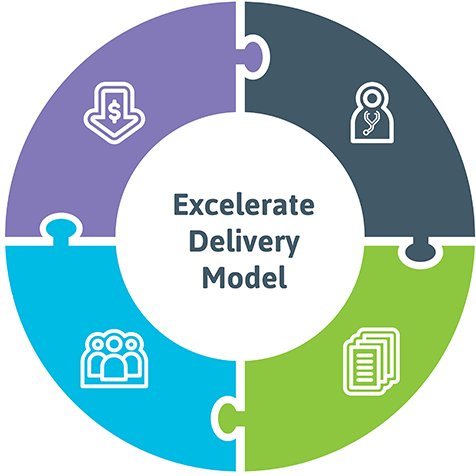 Excelerate’s innovative approach to clinical supply chain management, driven by physician experts and cutting-edge data, guides health systems through their transformational process to achieve physician alignment and reduce clinical variation to ensure lower costs. Fostering clinical alignment between physicians and supply chain delivers significant savings to our members. Excelerate is a committed portfolio model where best-in-class contract decisions are based on clinical evidence and data to achieve significant cost savings, especially in difficult-to-manage, high-cost physician preference items. Peer-to-peer physician engagement from world-class providers allows physicians to learn from one another about the latest clinical evidence and best practices in care delivery. Excelerate connects subject matter physicians with peers of similar expertise, ensuring that all parties have deep knowledge of their specific fields of practice. Cutting-edge analytics tools and clinical utilization insights that help members to make product decisions based on supply chain and outcomes data. High-touch consultative services that guide members through every step of their supply chain operations transformation. Health care is changing. Change with it. Excelerate is built on the strength of three industry leaders: Cleveland Clinic, OhioHealth and Vizient. Cleveland Clinic is a nonprofit multispecialty academic medical center with a 165-acre main campus near downtown Cleveland, 11 regional hospitals and more than 150 outpatient locations. OhioHealth is a network of 10 hospitals and 200+ ambulatory sites spanning a 47-county area and has been serving its communities since 1891. Vizient is the nation's largest member-owned health care services company with market-leading contract expertise, robust data analytics and knowledge that spans the continuum of care. Join a growing list of organizations who are adopting this groundbreaking supply-chain-solution sourcing model and achieving an average savings of greater than 15%–20% while upholding high levels of clinical care. Improving patient outcomes — together. When your company becomes part of the Excelerate portfolio, you’ll gain the insights of decision makers at health care systems across the nation — people who want to decrease variation to improve efficiency and the quality of care they deliver. Excelerate uses clinical and utilization data to evaluate products that deliver the best outcomes and value to Excelerate members. Learn more, become more. Facing mounting pressures and continual change, health care systems need innovative sourcing models to sustain success in the new world of value-based care. View information about how Excelerate is changing health care. Valley Health System saves more than $1M with Excelerate’s cardiac book of business. 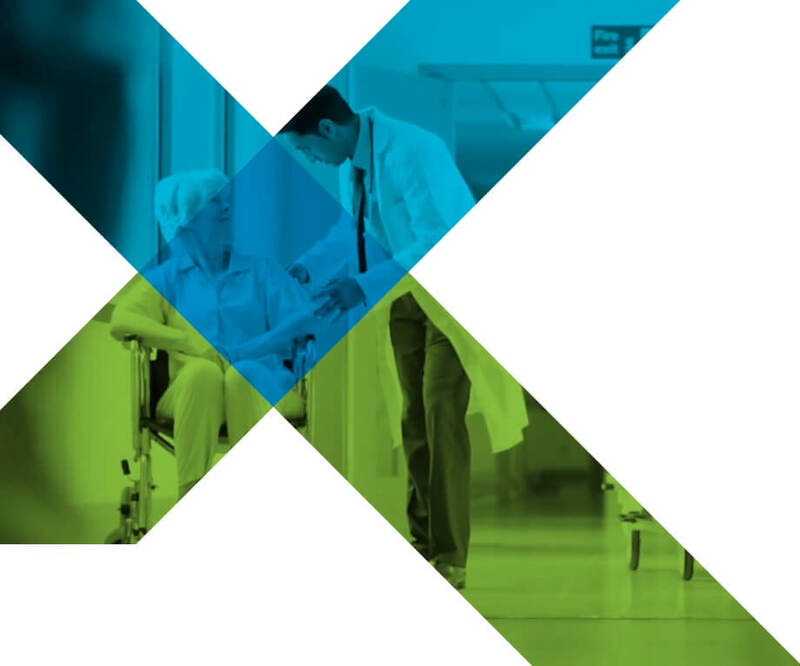 Promedica Health saves $5M with Excelerate’s cardiovascular and total joint service lines. Physician engagement in contracting and utilization decisions improve performance and cost management. Stay up to date on Excelerate, the achievements of its members and the latest developments in provider-led, physician-engaged sourcing. For media inquiries, please contact us. 9/19/2016Physician preference: Aligned, in line or out of the line? Take the next step. To learn more about Excelerate – or to inquire about becoming a member or supplier – please fill out the form below. We appreciate your interest in our new and innovative sourcing model. We've received your message and will be in touch with you as soon as possible. An error occurred while submitting the form. Please try again later.